Chipotle’s E. coli outbreak is a mystery—and will likely always be one. 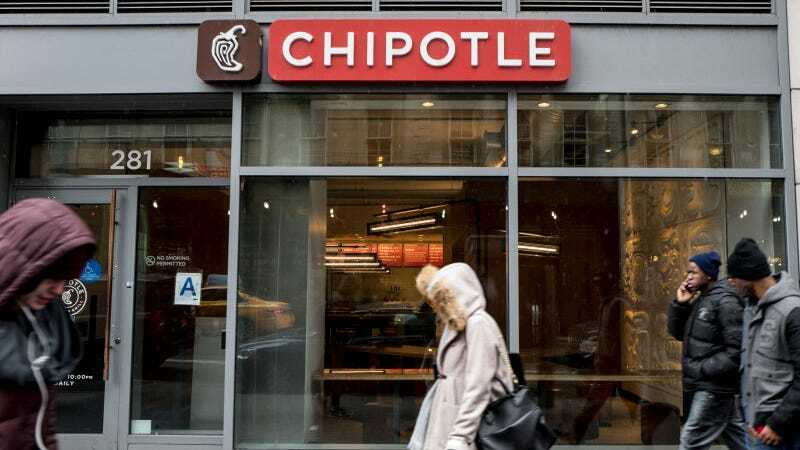 But in their food safety meeting today, Chipotle has reportedly identified the culprit in its other norovirus outbreak: sick Chipotle employees. CNBC just reported the update from inside the nationwide restaurant meeting that shutdown all Chipotle’s simultaneously today. But just what does Chipotle’s finger-pointing right back at itself mean? Unlike E. coli, which is hard to source and difficult to trace, there isn’t much mysterious about the spread of norovirus: It spreads from either person-to-person or from something (food, a countertop) that a sick person has touched. In other words, there was never really much real puzzlement on this subject. The root cause of the norovirus outbreak is almost always traced by the CDC back to sick employees. The bigger question for norovirus is then not what caused it but how to stop it—and the best way to do that is to let sick employees have the chance to stay home, without losing out on their paycheck. Until now, Chipotle employees only get two days of paid sick leave—not much time to get over a bout of stomach flu. Chipotle’s new guidelines say paid sick leave is now being expanded—though by how much isn’t specified. Employees at the meeting were reportedly told to watch out especially for “nausea, vomiting, explosive diarrhea, yellowing of the skin and eyes and dark urine,” any and all of which sound like excellent cause for several sick days. Of course how effective that really ends up being depends on how much they end up getting and whether they really get to take it when they need it—and that’s something that’s really the job of the restaurant chain, not its employees.